The luxury Fernie Stanford Resort is Fernie’s finest vacation resort, offering an array of amenities in an effort to give each guest a tailored experience. 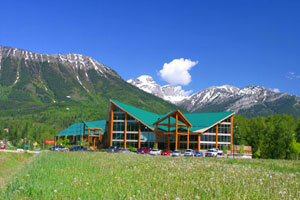 Featuring the best in Rocky Mountain vacations, this luxury hotel and chalets is located right where you want to be. Enjoy world class skiing, snowboarding, and snowmobiling in the winter. In the summer enjoy golf getaways, world class fishing, river rafting, hiking, and mountain biking. Enjoy a massage at the spa in our wellness centre while taking in the scenic view, warm up by the fire in the Grizzly Den with your favorite beverage and hearty family dining, or get physical at the fitness centre and 166’ waterslide at the swimming pool. Located between Fernie and the ski resort along the banks of the Elk River, the Stanford offers both an ideal setting and all of the services necessary for your vacation dreams to come true.